The Nobel Peace Prizes at their best set before us an array of great human spirits. The nine women Prizewinners clearly belong in this list. They come from a variety of backgrounds and represent a variety of forms of peace making. The earliest of these heroines of peace was the Austrian baroness who inspired the Prize, while the most recent was the Indian from Guatemala who rose to leadership overcoming poverty and oppression. They include the woman regarded as the greatest of her generation in the United States; the scholar and reformer who was the acknowledged intellectual leader of the American peace movement; two Northern Irish advocates of nonviolence who made a dramatic effort to resolve the longstanding violent conflict in their land; a saintly missionary working in the slums of Calcutta; a Swedish social reformer who became a cabinet minister and ambassador; and a Burmese intellectual who led the opposition to a brutal military dictatorship. They were not only of different nationalities and different classes, but of different faiths; among them were Catholics and freethinkers, a Buddhist and a Quaker. They worked against war in peace societies and in political life, as humanitarians and defenders of human rights. This small group of nine Laureates represents the diverse paths to peace which the Norwegian Nobel committees have recognized over the years. But they are most interesting in themselves; each has a fascinating story to tell. The purpose of this paper is to consider the lives and peace efforts of these nine laureates, picturing them as the members of the Nobel Committee described them in presenting them with their prizes at the award ceremonies. Thereafter we shall reflect on what, if anything they had in common. In the Appendix are some notes on the contributions of other women, the wives and mothers of the men who won the Prize. But first a few words about Alfred Nobel’s intentions regarding women and the Prize and how the Norwegian committee have followed his wishes in this respect. The story has often been told of how Nobel had long been interested in peace but how it was his friend the peace activist Baroness Bertha von Suttner, who drew his attention to the international movement against war which was becoming organized in the 1890s and secured his financial support for her peace activities. In the final draft of his will, Nobel omitted the last clause, as well as the bequest for the Austrian Peace Society, but he set up a prize for peace as one of his five prizes, and he clearly expected the Baroness to receive it. Four awards were made, however, before she finally received the prize in 1905. In 1901 and 1902 she was not even on the Committee’s short list. In 1903 the Committee put her on the short list, but despite the support of most of the other peace leaders, who called her their “commander-in-chief,” she was again passed over. In 1904 she lost out to the Institute of International Law, which added insult to injury, since when Nobel’s will was being implemented, the Baroness, with her special knowledge of her friend’s intentions, had strongly protested to the executors that Nobel had wanted the Prize to go only to individuals. In a speech earlier that year Nobel Committee Chairman Jörgen Lövland, in referring to the awards to the veterans of the peace movement, had spoken of “the men who had done this work.” Small wonder that the Baroness just about gave up hope and was much surprised when the gold ring finally came around to her in 1905. This was due to the special effort of Bjørnstjerne Bjørnson, the great writer, who was a member of the committee. When the Baroness came to deliver her Nobel lecture in the spring of 1906, Chairman Lövland, now foreign minister, spoke at the banquet about the great influence of women in history and how they could change the ideas of war and give men higher aims. It was however, twenty-six years later before the second woman, Jane Addams, was honored with the Prize. Addams had first been nominated in 1916 for her efforts to bring the First World War to an end and repeatedly thereafter. In 1923 the Committee’s adviser recommended her in his report, and she had a distinguished list of supporters, including Woodrow Wilson, John Dewey, Felix Frankfurter, Robert LaFollette and Sidney Webb, but no Prize was awarded for that year. Four more times she was on the short list before she shared the divided Prize of 1931 with Nicholas Murray Butler. In the presentation speech, made in her absence, Professor Halvdan Koht said, “In honoring Jane Addams, we also render homage to the work which women can do for peace and human brotherhood.” Apparently that was enough homage for the next fifteen years until in 1946 Emily Green Balch shared the Prize with John Mott of the YMCA. This time it took years for the next women laureates, Betty Williams and Mairead Corrigan, even though the committee had had its first woman member since 1948. During the thirty years Mrs. Aase Lionaes served on the Committee, chairing it the last ten, the Williams-Corrigan award was the only one to women. Since then the committee has done better, honoring Mother Teresa in 1979, Alva Myrdal in 1982, Aung Sang Suu Kyi in 1991, and Rigoberta Menchú Tum in 1992. In the first 45 years of the Prizes, only three went to women, and of the 96 awards since 1901, only nine women have been Prizewinners. The committee’s archives are open for research up to the Second World War, so we know that a number of women made the short list: The Quaker Priscilla Peckover and Annie Besant, theosophist and social reformer, both from England; from the United States, the peace activist Lucia Ames Mead, Belva Lockwood and Carrie Chapman Call and Elsa Brändström, the Swedish humanitarian. Others who might have been considered in the period included Dr. Aletta Jacobs of the Netherlands, feminist and activist; the activist Helene Stöcker and the artist Käthe Kollwitz of Germany; Christian socialist Muriel Lester and author Vera Brittain of England; and feminist and writer Oliver Schreiner of South Africa. In the years following the Second World War, there were several well qualified women candidates who were not named. In 1947 there was a proposal with the Cold War in mind, to share the prize between Eleanor Roosevelt who had done distinguished work on human rights in the United States and Alexandra Kollontai, the Soviet diplomat who had contributed to ending the Soviet-Finnish War. In 1948 Rosika Schwimmer of Hungary, who began her peace campaigning during the First World War, was nominated by a number of European parliamentarians. While it is true that during all these years it was difficult for a woman to rise to prominence in a male world, the Norwegian Nobel committees were apparently not without prejudice. It is all the more remarkable that Baroness von Suttner won an international reputation at the beginning of the twentieth century. On a lecture tour of the United States in 1904 she was even received at the White House by President Theodore Roosevelt. Not the least of her achievements was her break with the military and aristocratic traditions of her family, first by deciding to earn her living as a governess and later by writing the anti-war novel Die Waffen Nieder (“Lay Down Your Arms”), which brought her into the peace movement. Eloping with the brother of the young ladies she was tutoring and going off with him to the Caucasus to become a writer was also not quite what a well-bred countess was expected to do. 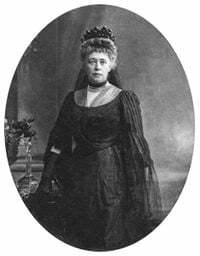 The Baroness was not able to come to Norway when her prize was announced in 1905 on the traditional day, December 10, and there was no presentation speech. The following April, she was introduced by Bjørnstjerne Bjørnson who spoke of her “real influence on the growth of the peace movement and how in one of the most militaristic countries of Europe she had continued to cry, “Down with arms.” Although laughed at first, her words received a hearing because they were uttered by a person of noble character and because they proclaimed humanity’s greatest cause. The Norwegian Nobel Committee had waited so long to give the Prize to Jane Addams, that she was ill and unable to go to the award ceremony or to come later to present a Nobel lecture. In fact, on the very day of the award, December 10, 1931, she was being admitted to the hospital in Baltimore. ln failing health in her last years, Jane Addams died four years later. Professor Halvdan Koht gave the presentation speech for Addams and her co-recipient, Nicholas Murray Butler, both of whom were absent. Since Koht was a specialist in American history, he must have known what an unlikely pairing this represented, for during the First World War, Butler had strongly denounced those, like Addams, who had opposed the war. Toiling for peace during the war and for a true peace afterward, she spoke for the pacifist women of the world. For some reason Koht did not give specific mention of the Women’s International League for Peace and Freedom, the organization she helped found and continued to lead. As she asked, the WILPF is on her tombstone along with Hull House, the famous settlement house she established. Fortunately, Koht’s omission of WILPF is rectified in the official Nobel Foundation Directory. Emily Greene Balch was a colleague of Jane Addams’ in the effort to stop the First World War, her partner in the work of WILPF, and successor as its leader. In 1946 she herself shared a prize with the YMCA leader, John Mott. It came to her as the result of a successful campaign organized at the request of WILPF by its member, Mercedes Randall, who did a remarkable job of bringing Balch’s indisputable qualifications before the Nobel committee and securing a large number of prominent supporters. Committee Chairman Gunnar Jahn gave a far fuller description of Balch’s activities than Koht had devoted to Addams. 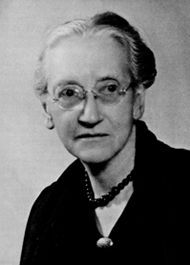 He told of her landmark research on Slav immigrants to the U.S., of her twenty-year teaching of social economics at Wellesley College, which ended when she was dismissed because of her pacifist activities during World War I. In her next career, she was at the center of WILPF’s international work, serving for a time as its secretary-general in the Geneva headquarters, and continuing to be a familiar figure at the League of Nations. Jahn was impressed with her practicality, her effort to improve international political relations by promoting international cooperation in other fields, and by her control of the facts in all her proposals. As an example he referred to her work to secure the withdrawal of the U. S. troops from Haiti in 1926 after eleven years of occupation. She went to Haiti with a delegation, showed great skill in investigating the situation, wrote most of the report, and fought to get the recommendations accepted by the government. Eventually they were all carried out and the troops withdrawn. Jahn referred to Balch’s difficult decision in World War II, as an absolute pacifist who had joined the Quakers, to support the U.S. war effort to vanquish the evil which Hitlerism represented. She could not be unaffected by the fate of her WILPF colleagues and Jewish friends. Jahn commended Balch for her gradualism, as compared with the Utopianism of less patient peace workers. She continued to develop imaginative proposals for slow international progress through functional cooperation and came to be regarded by American peace activists as their intellectual leader. Betty Williams (left) and Mairead Corrigan. When Egil Aarvik, vice-chairman of the committee presented the postponed 1976 prize to Betty Williams and Mairead Corrigan in 1977, he began his speech with a graphic description of the tragic accident that had occurred the previous August on a street in Belfast in Northern Ireland. A car out of control, its driver an Irish Republican Army (IRA) gunman shot dead fleeing from British soldiers, smashed into a family out for a walk. Two of the children were killed outright, the third was mortally injured, and the mother critically injured. This senseless killing of innocent children produced a wave of revulsion against the violence which had been sweeping Northern Ireland, with Catholic IRA members using murder and terror to drive out the British, Protestant extremists doing the same in response, and many innocent victims killed as a consequence. The movement was led by Betty Williams, a housewife who came upon the scene after she heard the shot, and Mairead Corrigan, the young aunt of the dead children. Unfortunately, that light was dimmed in Northern Ireland until very recently. The Peace People, the organization which emerged from the movement, declined in numbers and influence. Betty Williams emigrated to the United States, where she teaches in a university and has become a stirring lecturer on peace. Mairead Corrigan Maguire has continued to work with the Peace People in Belfast and has also effectively carried her message of nonviolence into other countries. Quakers in the seventeenth century thought of themselves as “God’s ordinaries.” When ordinary people rise to face challenge, they may go far beyond the ordinary. Can any political, social, or intellectual feat of engineering, on the international or on the national plane, however effective and rational, however idealistic and principled its protagonists may be, give us anything but a house built on a foundation of sand, unless the spirit of Mother Teresa inspires the builders and takes its dwelling in their building? Sannes explained that this spirit is rooted in the Christian faith. “She sees Christ in every human being, and this in her eyes makes man sacred… The hallmark of her work has been respect for the individual and the individual’s worth and dignity. The loneliest and the most wretched, the dying destitute, the abandoned lepers, have been received by her and her Sisters with warm compassion devoid of condescension, based on this reverence for Christ in Man. Sannes told how Mother Teresa was born into a Roman Catholic Albanian family living in Skopje, capital of the Yugoslav republic of Macedonia. At the age of twelve she had felt the call to help the poor, and a few years later decided to work in India. At the age of eighteen she joined the Irish order of Loreto and went to teach in their girls’ school in Calcutta. After sixteen years she felt a new call, to work in the Calcutta slums. There she started a new order, the Missionaries of Charity, committed to serve the poorest of the poor, which soon spread to many other countries. Chairman Egil Aarvik of the committee gave the presentation speech at the award ceremony when the 1982 prize was shared between Alva Myrdal and Alfonso García Robles of Mexico. Aarvik explained that in recognizing two prominent leaders in the disarmament movement the committee wanted at the same time to give that movement a helping hand. Myrdal had headed the Swedish delegation to the U.N. Disarmament Committee from 1962 to1973 and had produced one of the best books on the disarmament race. Her social commitment went back to the 1930s, “when she played a prominent part in developing the Swedish welfare state. She was a staunch champion of women’s liberation and equal rights.” Aarvik belonged to a more conservative part of the political spectrum, but he said that on one point all could agree: “her name has become a rallying point for men and women who still cling to the belief that in the last resort mind is bound to triumph over matter.” Myrdal was not only a champion of reason but in her writing and in all her activities one of its most brilliant practitioners. She was the first woman to be appointed head of a department in the United Nations Secretariat, and she had served her country with distinction as a cabinet member and as ambassador to India. So glowing was her record in all her assignments, so many honors had been heaped upon her, that Aarvik seems not to have recognized that, as she pointed out to me, “I had not held my first important position until I was forty years old.” The career of her husband, Gunnar Myrdal, had taken priority at times when she had been offered high positions. Of all the honors she had received, Myrdal regarded the Nobel Peace Prize as “the peak.” She confided to me, however, that the Norwegian People’s Prize was “dearer to my heart.” In 1981 when she had been nominated once again for the Nobel and the committee had given the prize to the U.N. High Commissioner for Refugees, there was such an outcry of criticism in Norway that a popular movement arose which raised sixty thousand dollars to be presented to her as the Norwegian People’s Prize. The ceremony at the Oslo city hall in February 1982 had touched her deeply. Aarvik referred to what Myrdal had said in accepting the first Einstein Peace Prize: “I have, despite all disillusionment, never, never allowed myself to feel like giving up. This is my message today; it is not worthy of a human being to give up.” Aarvik emphasized this message, no doubt thinking of the failure of the U.N. disarmament session earlier that year. 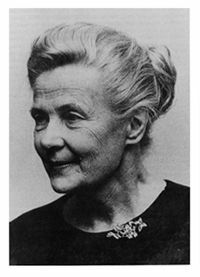 He said that the committee intended the 1982 peace prize to go to “people who are not satisfied merely to draw attention to alarming trends, but who also devote their energy and their ability to turning the tide.” Certainly such a one was Alva Myrdal. In the good fight for peace and reconciliation, we are dependent on persons who set examples, persons who can symbolize what we are seeking and mobilize the best in us. Aung San Suu Kyi is just such a person. She unites deep commitment and tenacity with a vision in which the end and the means form a single unit. Its most important elements are: democracy, respect for human rights, reconciliation between groups, non-violence, and personal and collective discipline. We must add that undergirding her political philosophy in spirit and deed has always been her Buddhist faith, which is also the foundation for her belief in human rights. In championing human rights in her political opposition to the military dictatorship, she needed to be fearless. Sejersted referred to the incident during her election campaigning when she courageously faced a detachment of soldiers, whose officer lined them up in front of her, prepared to fire if she continued to walk down that street, which she did. Several times in his speech Sejersted cited the collection of her essays, entitled Freedom from Fear, which her husband, Michael Aris, edited and published before the ceremony, so that her voice could be heard beyond the reach of her oppressors. The title essay begins, “It is not power that corrupts but fear. Fear of losing power corrupts those who wield it and fear of the scourge of power corrupts those who are subject to it.” Fearlessness is the best response to governmental violence. In conclusion she writes that “truth, justice and compassion… are often the only bulwarks against ruthless power.” These are the teachings of Buddha. Sejersted told how Suu Kyi spent many years abroad, first when with her diplomat mother in her younger years, then studying at Oxford, working at the United Nations in New York, marrying Aris, a British Tibetan scholar, starting a family when they were in Bhutan, finally ending up in England, after scholarly assignments in Japan and India. Burma was always on her mind and heart, however, especially after the military seized power in 1962. When she married Aris, she told him that one day she must return to Burma when she was needed. It was to nurse her dying mother that she returned from England, but as the daughter of Aung San, she could not stay aloof when she saw the government brutally repressing a popular movement in opposition. She headed a political party in the elections which the military permitted, but she was so successful that even before election day, she was ordered confined to her home. Nevertheless, her party won by a great majority, after which its other leaders were jailed. As of this writing Suu Kyi is still under detention, separated from her family, despite efforts of many governments and the United Nations to secure her liberation. A group of Nobel peace laureates only got as far as Thailand in an attempt to bring their petition to the military dictators who hold her. In 1994, however, a U.S. congressman was permitted to see her, and, as a result of mediation by a Buddhist monk, she had a conference with members of the government. There is now more hope. The decision was generally applauded, but conservative critics charged that Menchú had taken part in violent actions of the Guatemalan guerrillas against the government. Previous Nobel prizes for champions of human rights had been given only to those who used nonviolent methods, like Aung San Suu Kyi of Burma. It was true that Menchú had every provocation to take up arms, and two of her sisters had indeed joined the guerrillas. Government soldiers had brutally murdered their mother and brother because their father opposed the landowners, and finally the soldiers had set fire to the Spanish embassy where the father and other compesinos were making a peaceful protest and burned them all to death. Committee Chairman Sejersted in his presentation speech emphasized the meaning of Menchú’s decision. He spoke of “the brutalizing effect of the use of violence. Whoever commits an act of violence will lose his humanity. Thus, violence breeds violence and hate breeds hate.” How can one break out of this circle, especially when one is confronted with the blind violence of the other side? What did all these women peace Laureates have in common? They were all women of high ideals, prepared to work and sacrifice to bring something better into being, and they labored in the certainty that their objectives would eventually be realized. They all carried within that sacred flame, which Gunnar Jahn perceived in Emily Greene Balch, which inspired them to struggle against odds, to withstand disappointments and defeats, to resolve never to give up. They shared a faith in humanity, whether born of religious conviction or humanism. Most displayed remarkable courage. Not all faced the aimed rifle, as did Aung San Suu Kyi, or had to hide from the soldiers, as did Rigoberta Menchú Tum. But it took courage to withstand the slings and arrows of the militaristic press of Imperial Germany or the war-time patriotic fervor in the United States, just as it took courage to take the first step to break the circle of violence in Northern Ireland. 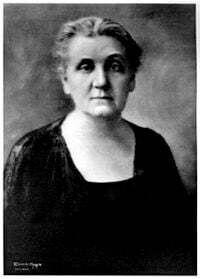 In speaking of Jane Addams, Professor Kove done for us, knowing that they are there and have been there “gives us confidence ht referred to “the best feminine qualities which will help us to develop peace on earth.” Above all, however, what these nine Nobel Women have shown us is the potential of the human spirit. While only nine women have won the Peace Prize, the role of women has been important in the lives of many of the Laureates, the mothers who reared them and the wives who supported them in their peace crusades. Chief Albert Lutuli (1960), Lord Cecil (1937), and Lord Boyd-Orr (1949) all dedicated their autobiographies to their wives (Lutuli to his mother as well). In the papers of Frédéric Passy (1901) there is a loving poem to his wife, and Eli Ducommun (1902) wrote a beautiful little poem for Adele, “Ange du Foyer,” that was published in his Derniers Sourires. Matilde Bajer did much of the typing of Fredrik Bajer (1908), and was no doubt responsible for his feminst leanings. Ducommun was also an early promoter of women’s rights. Boyd-Orr’s wife typed his letters with two fingers after he gave all the Prize money away. His friends thought he should have hired a secretary. Whenever he traveled, he took her along, and he would confide to the hotel managers that they were on their honeymoon. As a friend wrote, after fifty years they still were. The wife of Albert Schweitzer (1952) changed her career plans and trained as a nurse, so that she could help him when he went to Lambaréné. Philip Baker met Irene Noel when working with the Friends Ambulance Unit in World War I, and after they were married he became Noel-Baker (1959). Cecil said that proposing to Nelly was “the cleverest thing he ever did.” Those of us who saw Danuta Walesa in action in Oslo may well think that this was also the case with Lech Walesa (1983). Linus Pauling (1962) said at Oslo that his Prize should have been shared with Ava Helen Pauling. It was also she who had drawn him into work for peace, and they had worked closely together for the cause. Marion Wiesel has been a tremendous influence upon her husband Elie (1986). We read in The Accident and other early books how he forswore love as a survivor of the Holocaust. Even after they were married, he had reservations about bringing a child into this dark world. She has brightened his life. And is the translator of his books. The wife of Léon Jouhaux (1951) was a remarkable person. When Léon and other French notables were detained by the Laval government and the Germans, she handled relations with the jailers as the only one fluent in German. Martin Luther King, Jr. (1964) married the attractive Coretta Scott thinking she would be the ideal minister’s wife. During his lifetime she was very much the mater familiae. He expected her to stay home with the children when he began marching, although on some occasions he let her come along. His hero Gandhi has been called by feminists “a male chauvinist.” But it was only after King’s death that Coretta has come into her own and shown her leadership abilities. General George C. Marshall (1953) married a beautiful Southern belle, but he discovered that she was sickly and could never have any children. This was a severe disappointment to Marshall, who would have been a fine father. His second wife was a great support to Marshall. After Woodrow Wilson (1919) became ill, his wife became of great importance. It is not clear however, that she had any influence on his peacemaking. The wife of Ludwig Quidde (1927) remained in Munich when he fled to Geneva from Nazi Germany. He had an affair there and did not want her to join him. The pretty secretary I met when I visited him in 1937, was not the one. Quidde did soften his public comments about the Nazi regime in order not to bring reprisal upon his wife. And the hand that rocked the cradle? The mothers of the Laureates? In many cases these were the most formative and crucial influences in their lives. The mother of René Cassin (1968) saved his life when he was invalided home in World War I with a stomach wound. The doctors felt it was inoperable and sent him to the terminal ward. His mother was serving as a nurse in that hospital and persuaded a surgeon to operate. He lived to almost ninety. In several cases mothers have had an important religious influence. This was true of Wiesel (1986), of Father Georges Pire (1958) and of Mother Teresa (1979). Father Pire spoke enthusiastically about his mother “as a ship in full sail,” more venturesome, more spirited than his bureaucratic father. 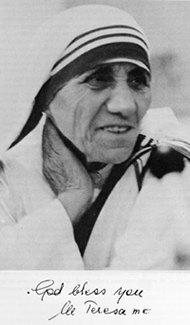 Mother Teresa’s mother was a pillar of the Catholic Church in Skopje. After her father died when she was young, the visitors at their home were no longer political figures, but Church people. The mother was a deeply religious soul and always helping those in need, an example for the little girl who would grow up to become the Saint of Calcutta. Lord Cecil spoke glowingly of his mother in his memoirs. After she died, his father, the prime minister, was never the same. Lord Cecil said his mother lived life intensely, everything she did, she entered into, heart and soul. The mother of Seán McBride (1974) was an Irish beauty of whom the poets sang. His father left the family, went back to Ireland from France, and was executed after the Easter Uprising. It was she who brought Sean up, and when they returned to Ireland, she played a political role as well in the independence movement, which he joined as a young revolutionary. Lutulu’s grandmother was “a lady of the court,” something of a concubine, who quite illegally and unconventionally returned to Natal with her younger daughter, who married a Christian minister and became Lutuli’s mother. After the father’s death, she was determined that her son would get an education and took in washing to pay for his school books. He pays tribute to her in his memoirs. The administrative abilities of Dag Hammarskjöld (1961) may have come from his father, but the poetic and religious and intuitive genes came from his mother. He felt that life had been hard for her because of the frequent absences of his father on official business, and this was one of the reasons why he never married, because he did not want to subject a wife to his life as a never-resting public servant. Emily Greene Balch (1946) wrote her mother “was the center of my life and its chief influence as long as she lived.” She was seventeen when her mother died. 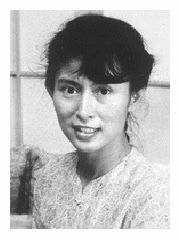 Aung San Suu Kyi (1991) was only two years old when her father was assassinated, and it was her mother who raised her. Daw Khin Kyi was an able woman who served her country in various capacities, including as ambassador to India. Her daughter wrote that her father married a woman who had not only the courage and warmth he needed in his life’s companion but also the steadfastness and dignity to uphold his ideals after he was gone. On word that her mother had suffered a severe stroke, Suu Kyi immediately returned to Burma from England to take care of her until she died. Much of this paper is based upon my previous writings on the Nobel Peace Prize: The Nobel Peace Prize and the Laureates. An Illustrated Biographical History (Boston: G.K. Hall, 1988), with bibliographies, “The Many Meanings of the Nobel Peace Prize,” The Nobel Peace Prize and the Laureates. The Meaning and Acceptance of the Nobel Peace Prize in the Prizewinners’ Countries (Frankfurt-am-Main Peter Lang, 1994), eds. Karl Holl and Anne C. Kjelling, 13-33,” The Odd Couple,” Scanorama, 23, 11 (November 1994), 18-20. My essays on Aung Sang Suu Kyi and Rigoberta Menchú Tum were published in The Nobel Prize Annual 1991 (New York: IMG, 1992), 76-85 and the Nobel Prize Annual 1992 (N.Y.: IMG, 1993), 76-87. Volumes in this series are available from International Management Group, 1320 Centre St., Suite 206, Newton Center, MA 02159-2444, USA. The catalogue of the exhibit organized by the League of Nations and Historical Collections Unit of the United Nations Library in Geneva on the 150th anniversary of Bertha Von Suttner’s birth includes articles by leading authorities on the Baroness and on all the women Nobel Peace Laureates and other women peace leaders, along with description of the exhibit and bibliographies: U.N. Library, Geneva: Bertha von Suttner (1843-1993) and Other Women in Pursuit of Peace (Geneva: United Nations, 1993). My contribution was “‘Chère Baronne et Amie…’ Letters of Alfred Nobel and Bertha von Suttner,” pp.9-13. The presentation and other speeches at the Oslo award ceremonies are published every year on the previous year’s Prizes in the Nobel Foundation’s Les Prix Nobel (Stockholm: Almquist & Wiksell). For this paper I used the following volumes: 1977 (Betty Williams and Mairead Corrigan), 33-37, 276-286; 1979 (Mother Teresa), 34-39, 220-225; 1982 (Alva Myrdal), 31-37, 220-228; 1991 (Aung San Suu Kyi), 34-42; 1992 (Rigoberta Menchú Tum), 31-34, 157-179. Earlier speeches are published in Frederick W. Haberman, Nobel Lectures. Peace . 3 vols. (Amsterdam: Elsevier, 1972), 1.81-94 (Bertha von Suttner); 2. 125-135 (Jane Addams, 325-353 (Emily Greene Balch). Recently published: Aung San Suu Kyi, Freedom from Fear and Other Writings, ed., Michael Aris (New York: Penguin, 1991); I, Rigoberta Menchú Tum. An Indian Woman in Guatemala, ed., Elisabeth Burgos Debray, transl., Ann Wright (London & New York: Verso, 1984), Steven Schroeder, “Towards a Higher Identity: An Interview with Mairead Corrigan Maguire.” (Christian Century, 111, 18 (April 20, 1994), 414-416. The article was first published on 22 September 1997. Since then six more women have been awarded the Nobel Peace Prize: Jody Williams (1997), Shirin Ebadi (2003), Wangari Maathai (2004) and Ellen Johnson Sirleaf, Leymah Gbowee and Tawakkol Karman (2011). See also a list of all Nobel Prize awarded women.